We thought: What better way to take full advantage of our lawn than with a puppy? In the zeitgeist, dogs and lawns go together like peanut butter and jelly. A lawn is lonely without a doggo romping around on it, and puppers need grass to play and do their outdoor doggy business. We believed that having a furry friend would get us outside and enjoying our lawn more often — but we didn’t realize the damage our decision would wreak. Excess nitrogen. Dogs pee — a lot. Unfortunately, dog pee is full of nitrogen. Nitrogen isn’t bad for lawns; in fact, grass needs nitrogen to grow strong roots. However, it’s easy for grass to get too much of a good thing, and when your lawn is inundated by nitrogen, it can burn up and die. We were puzzled but yellow and brown spots across our lawn for years before we learned to take the doggo for walks when nature called. Chewing and digging. Dogs dig for comfort and stress relief, and it’s a habit you probably won’t be able to train out of them. Our pup also had the unfortunate fixation on chewing, especially the sprinkler heads on our lawn. 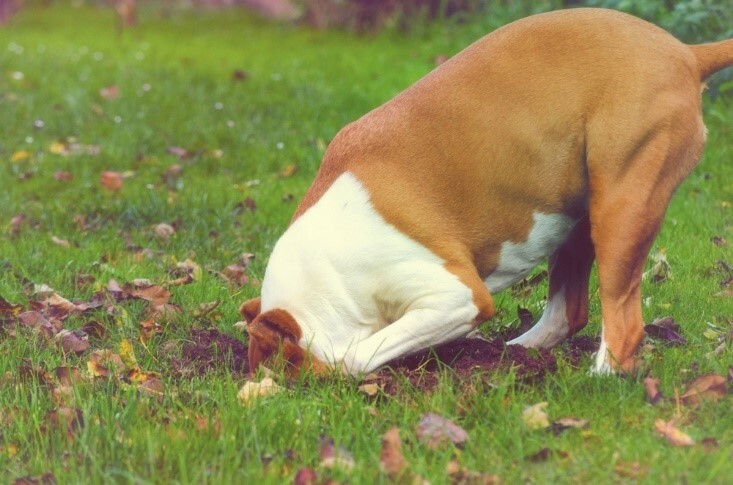 After I searched for a sprinkler repair service near me, I talked to a trainer who said that you should allow your dog one place in the yard where digging is okay — ideally a dirt or gravel space — and give them plenty of chew toys to keep them off the sprinklers. Compaction. You can walk on your grass sometimes, but lawn experts advise against trekking the same path across it day-in and day-out. Alas, dogs are nothing if not consistent; most will blaze a trail across your yard, resulting in a track of dead grass. This is because their constant walking forces debris and dirt into a hard layer that prevents the grass’s roots from acquiring vital nutrients. We installed a hardscaped path where our dog preferred to walk, and we got in the habit of aerating our lawn religiously every fall and spring. If you get a dog, you need to train it. While you can call it your fur-baby and your four-legged child all you want, you need to remember that giving it full-reign to destroy your home and yard isn’t benefiting the animal or you. It is of utmost importance that you learn how to control your dog’s behavior, especially around your lawn, which can suffer greatly and demand great expense to recover from doggy damage. If that means you need to pay for dog training lessons, then you should accept this investment as a necessary cost of owning a pup. However, some doggy practices — like peeing and pooping — simply won’t go away with training. 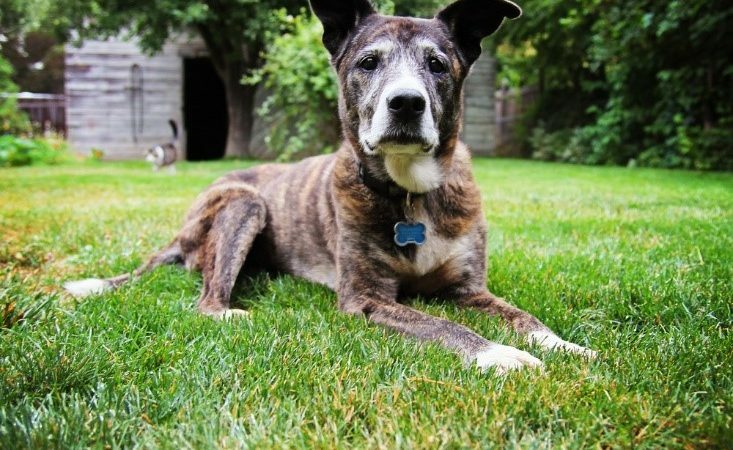 You might consider laying out a line of fake grass and training your dog to do its business there, where it won’t do as much damage. Alternatively, you can do what we do and take your Fido for a daily walk. Our pupper is so excited to get out that she seems to save all her day’s business for leash time. In truth, either you can have a low-cost, efficient and gorgeously green lawn or you can have a dog. We have found that our four-legged child brings us much joy, so we are willing to pay a bit more money and time for the lawn we need.